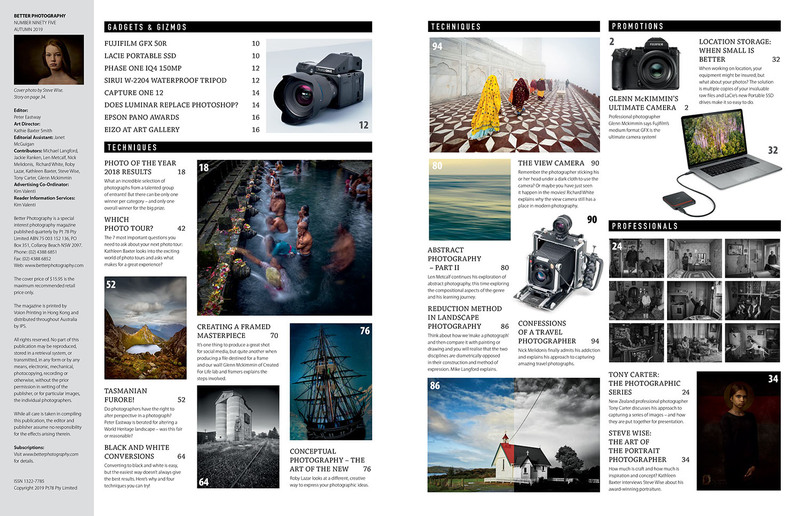 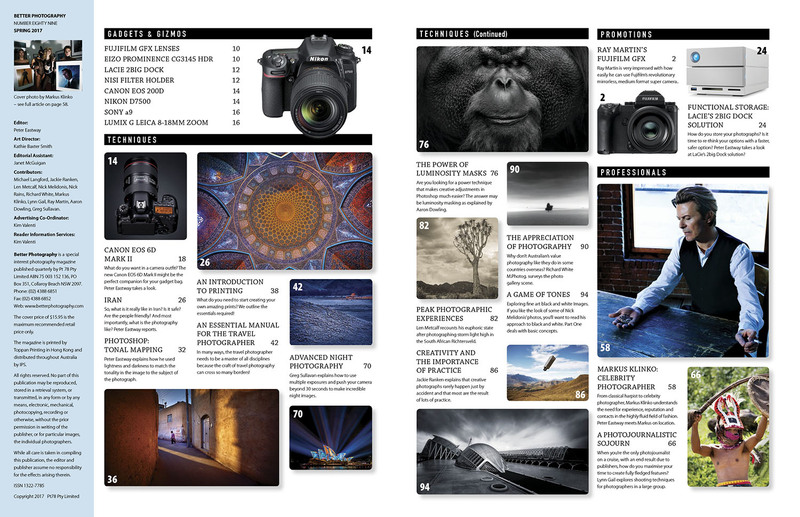 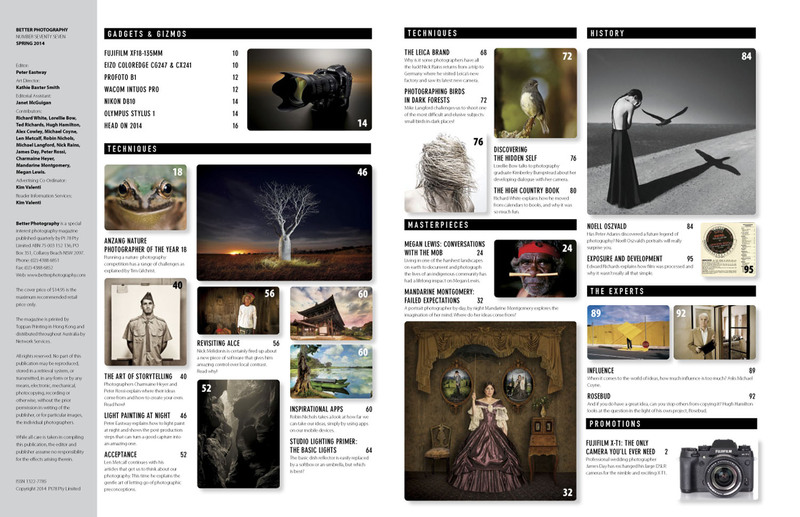 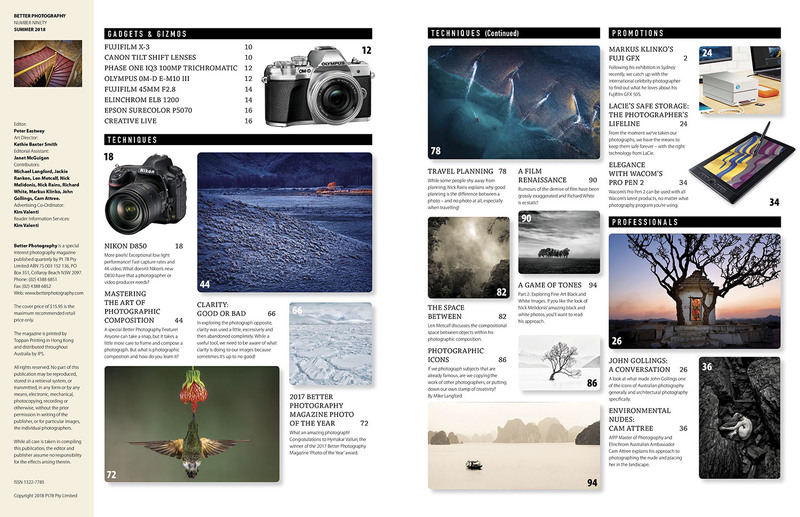 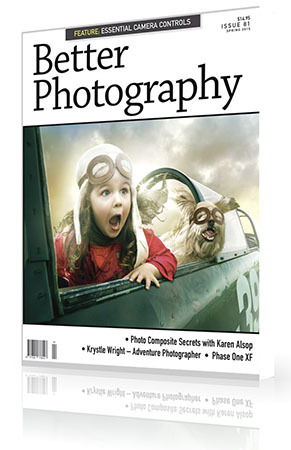 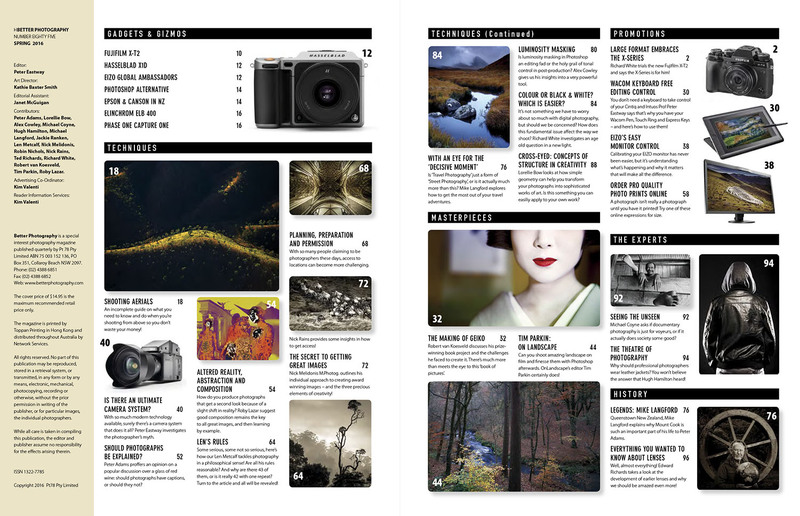 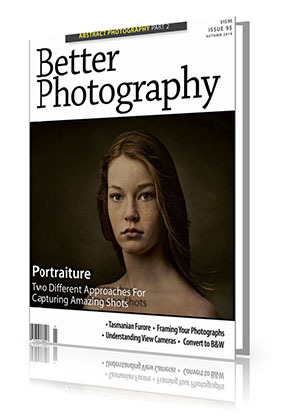 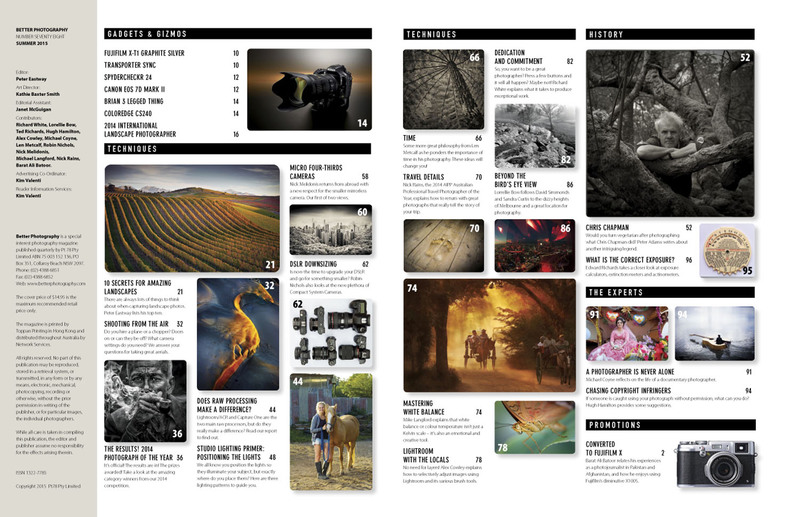 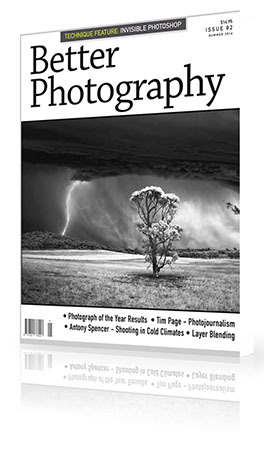 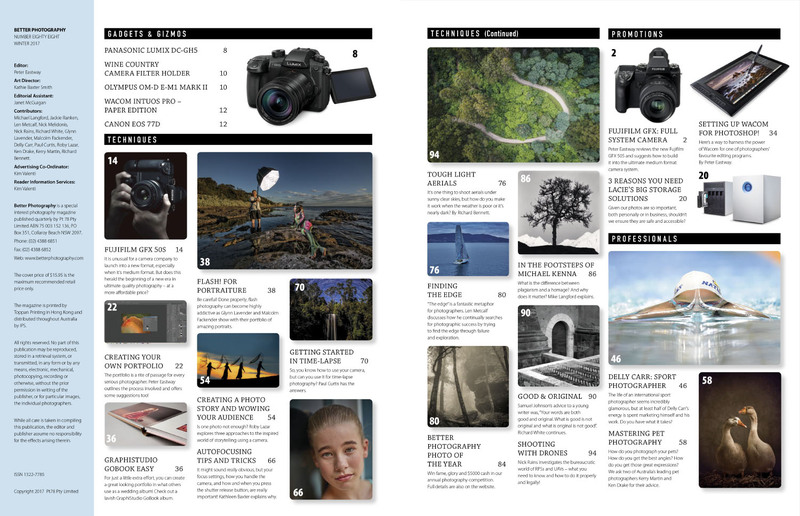 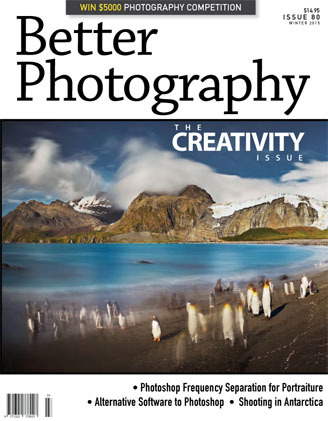 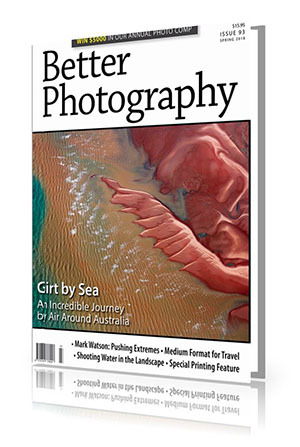 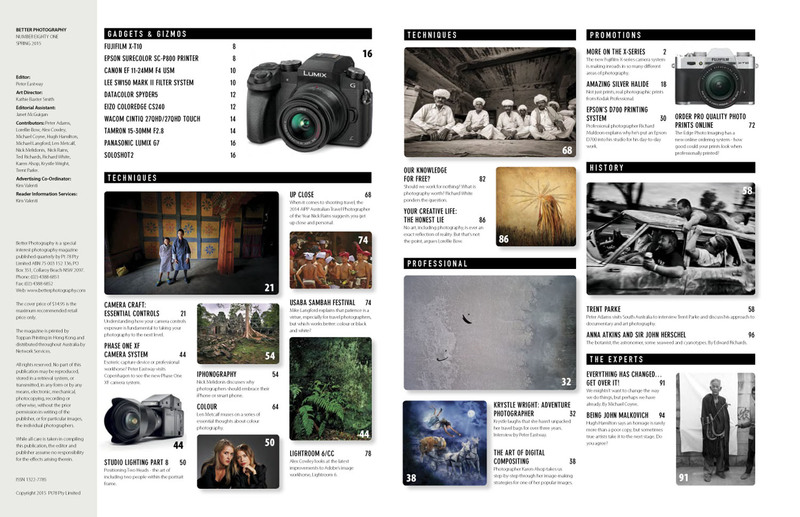 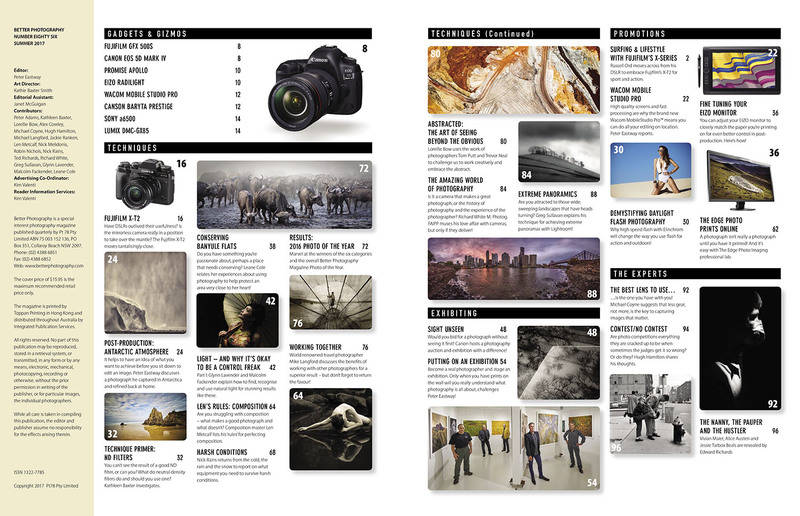 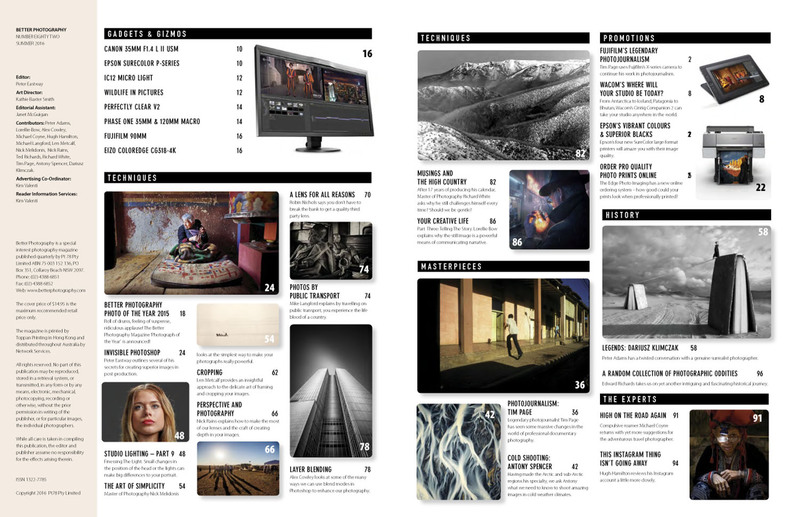 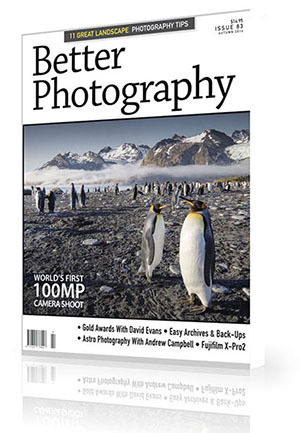 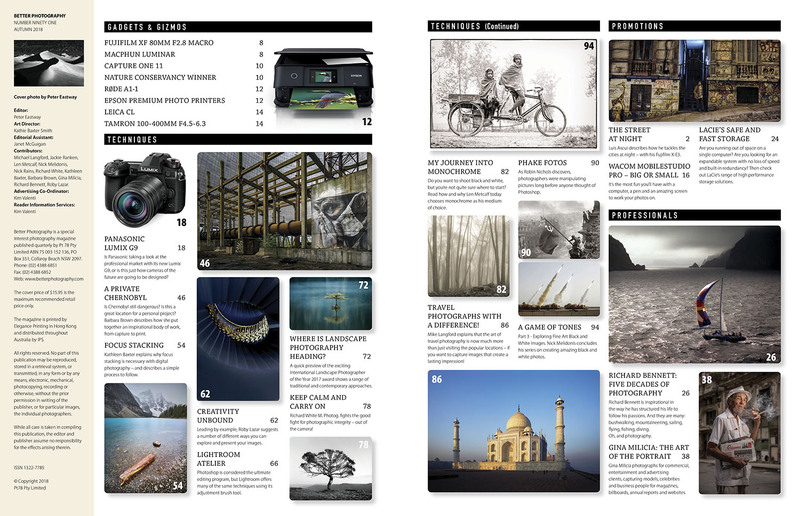 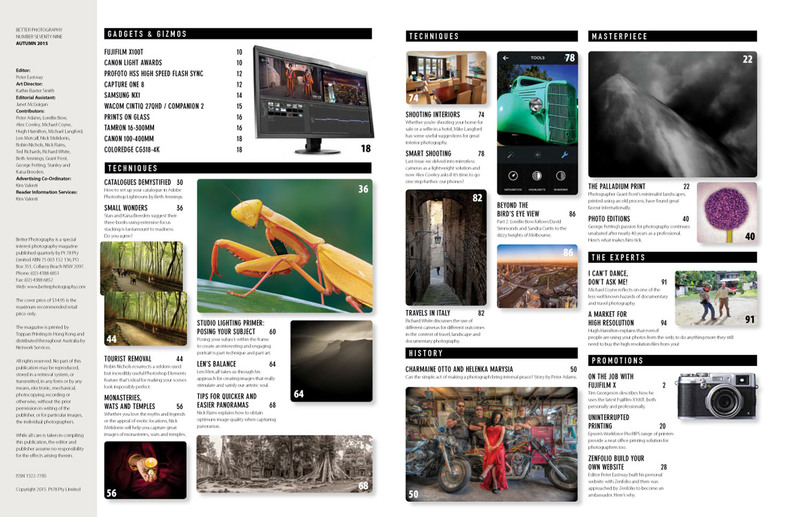 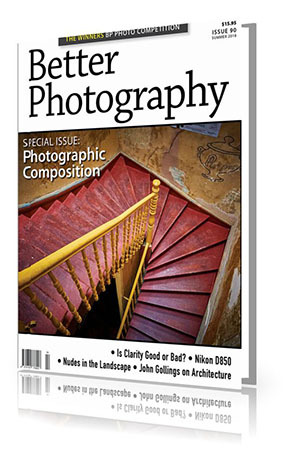 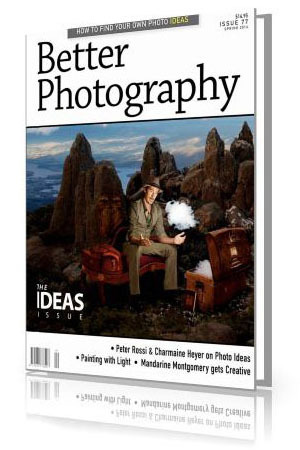 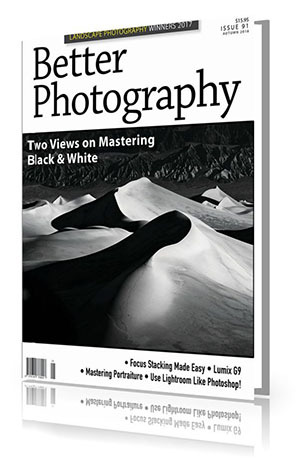 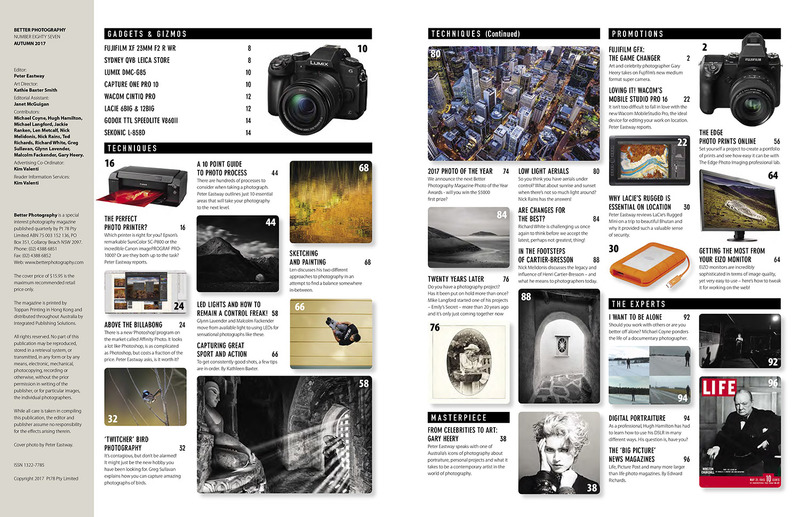 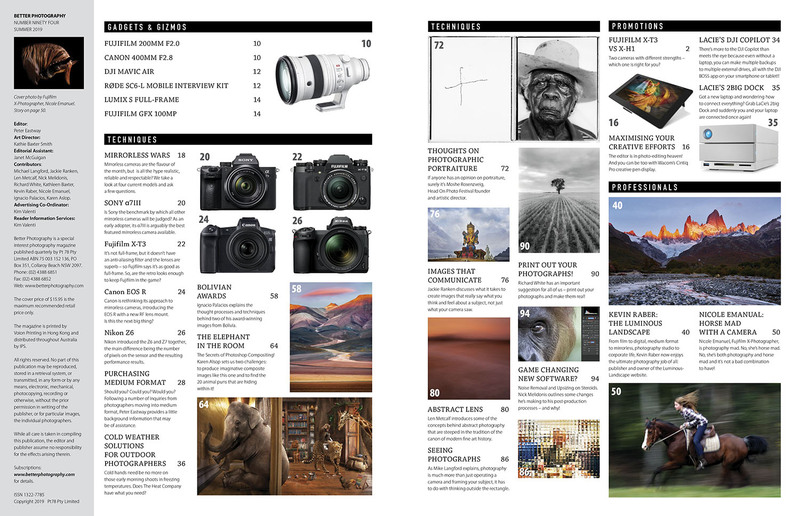 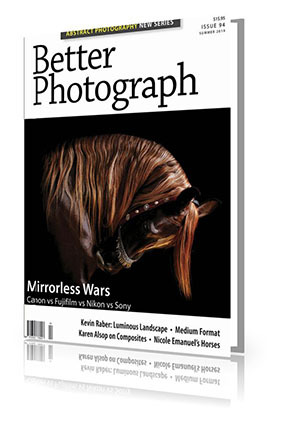 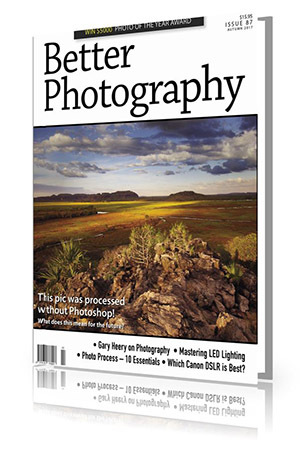 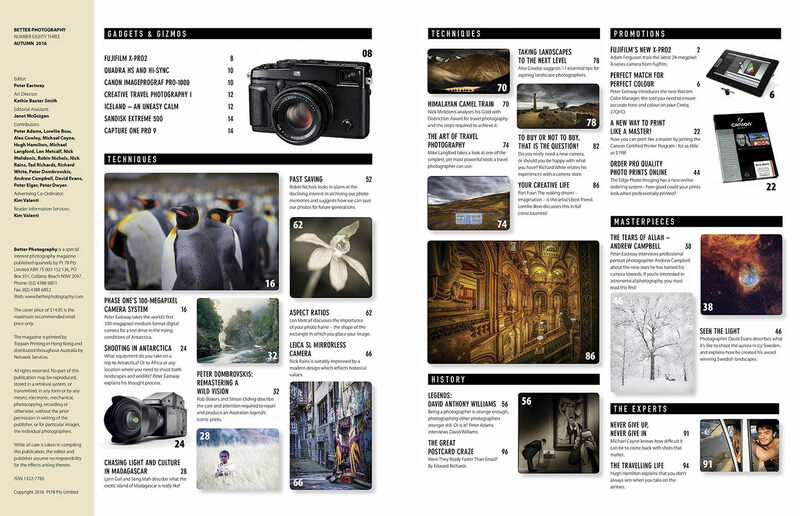 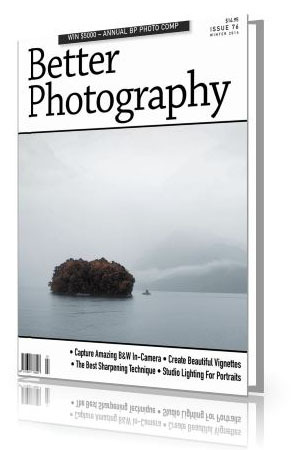 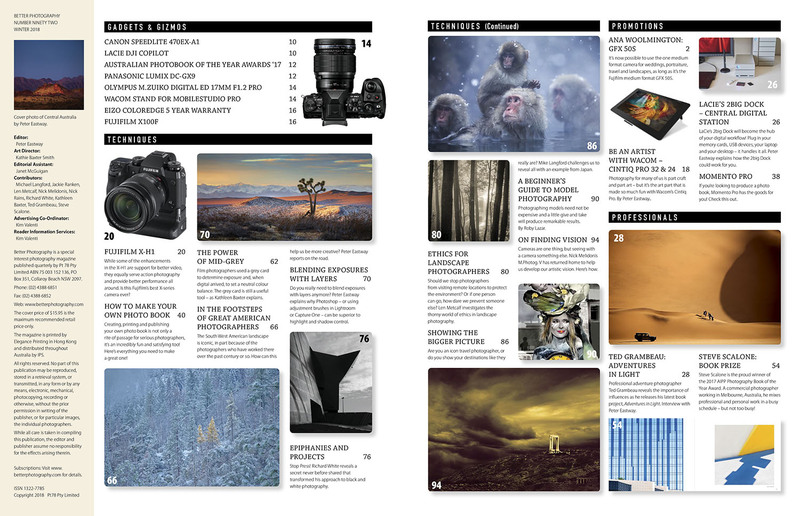 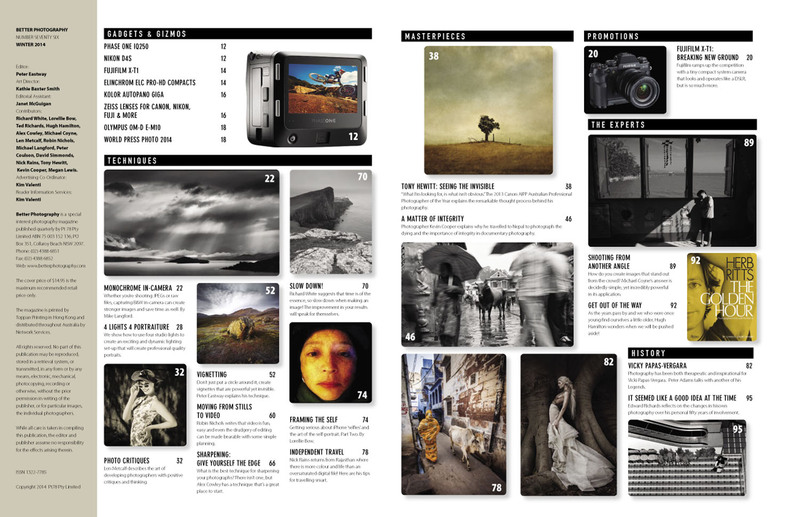 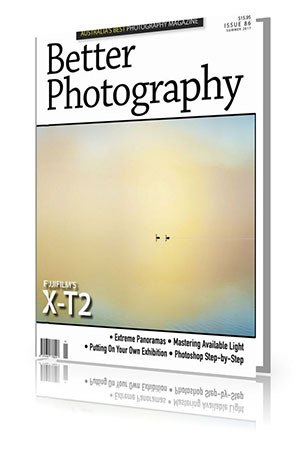 The full online subscription to Better Photography magazine includes immediate access to every issue published since Autumn 2009 (over 30 magazines), plus you can download the magazines if you don't wish to read online in our flip-book. 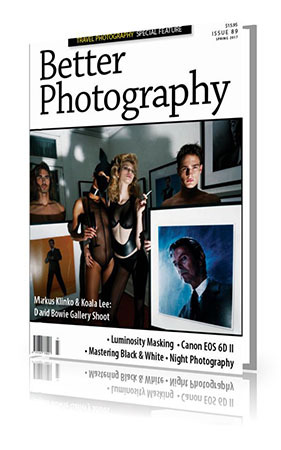 We also have a 'Light' subscription which only includes the last four back issues. 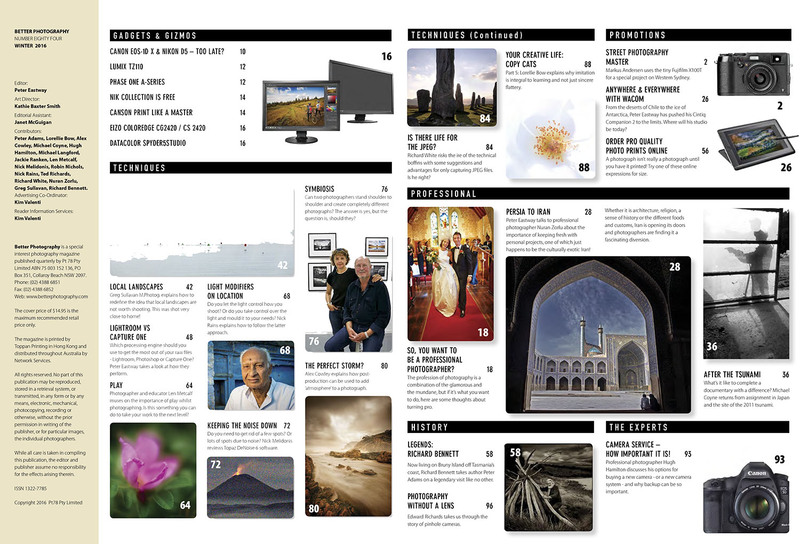 Here's a sample magazine to show you what it's like. 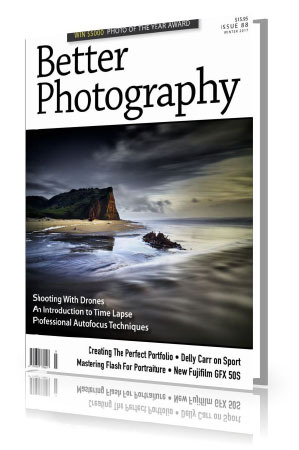 Click on the Courses & Subscriptions link to subscribe now or click here! 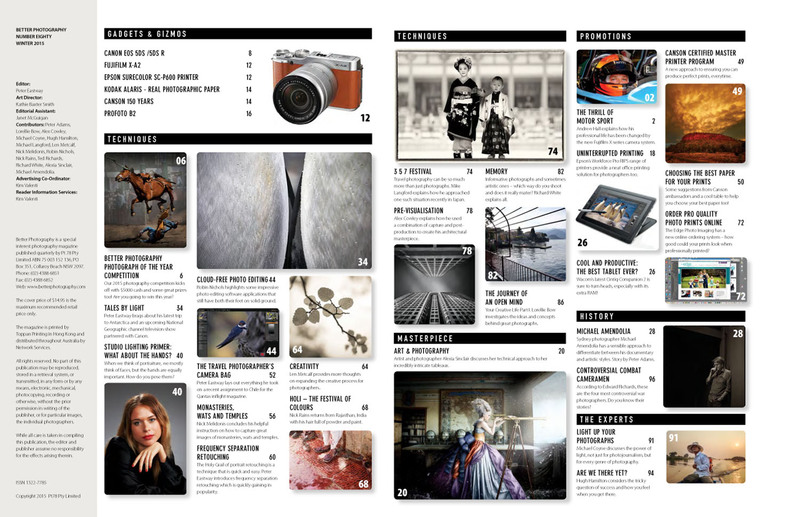 For a list of all the available issues, please scroll down the page. 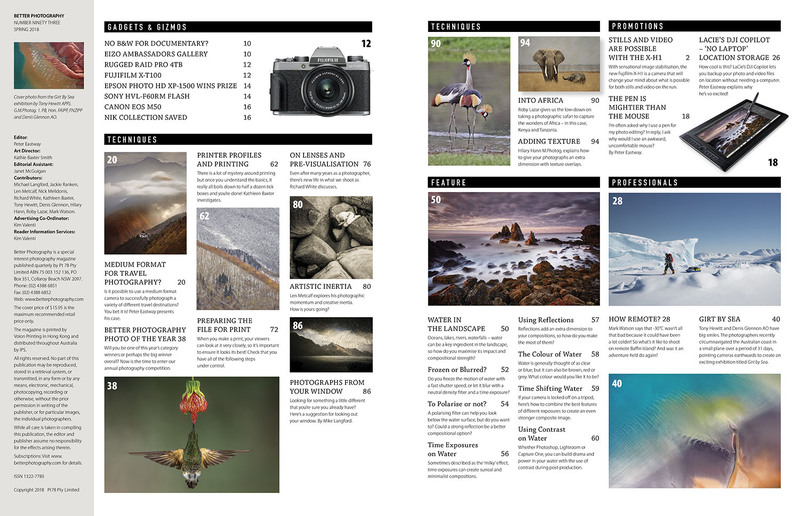 You can click on the Contents Pages (on the right) to read what's inside each one, but you won't be able to read them until you subscribe! 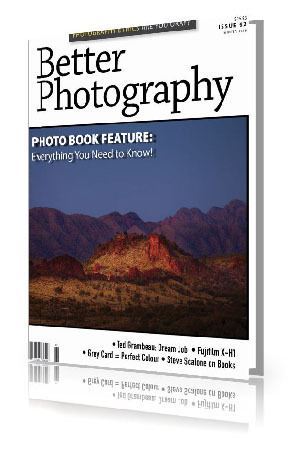 Click image to read full contents. 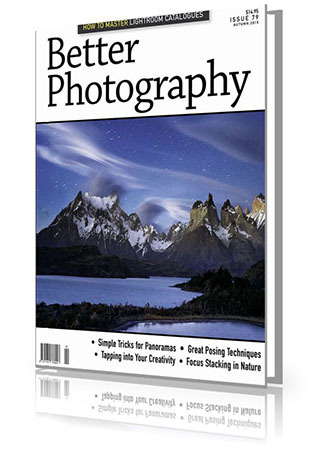 Is Clarity Good or Bad? 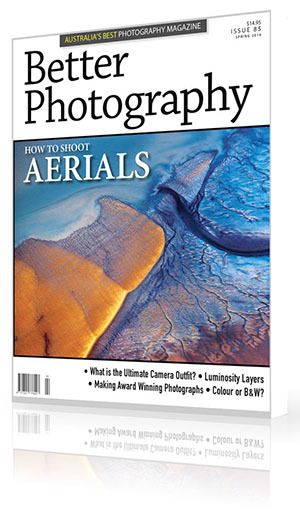 What is the Ultimate Camera Outfit? 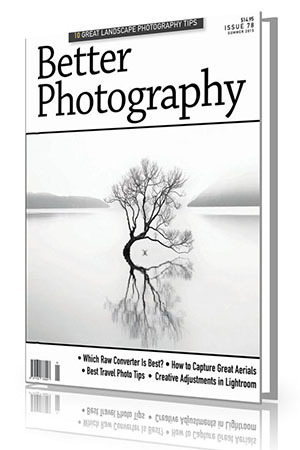 Which is best - Lightroom or Capture One? 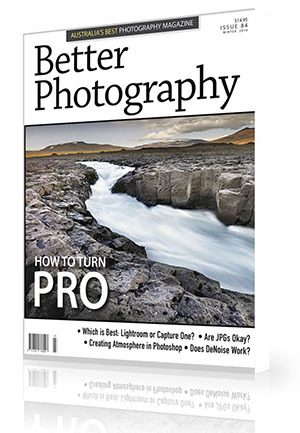 Which Raw Converter Is Best?